It has been a few weeks since the 67th Lindau Nobel Laureate Meeting in Chemistry and while you probably have gotten back in the swing of things at work and university, you probably are still walking around with a huge grin on your face. I know I am. I can’t stop smiling when I think about my experience at Lindau. The lectures! The laughter! The lifetime connections I forged! (And don’t forget about the food! Oh, the glorious Bavarian and Mexican food!) It was an unforgettable – and unreproducible – experience. Now your colleagues are probably wondering why you keep showing off your pearly whites – what are you so happy about? They might not get it, but we do. I attended as a journalist, blogger and the chair of the Science Careers panel, and I get it and I get you. You experienced something amazing – you experienced Nerd Heaven. You were in a place that celebrates success and curiosity and insight and nature and encourages you to be scientific pioneers, exploring the frontiers of knowledge and our universe. You participated in a once-in-a-lifetime intersection of intelligence and impact. Of course you are still fondly thinking of it! Now while your Lindau experience may have seemed like it only lasted one week, let me assure you that that is incorrect. The Lindau Meeting is simply the first step in a continuum of Lindau experiences you are about to enjoy. 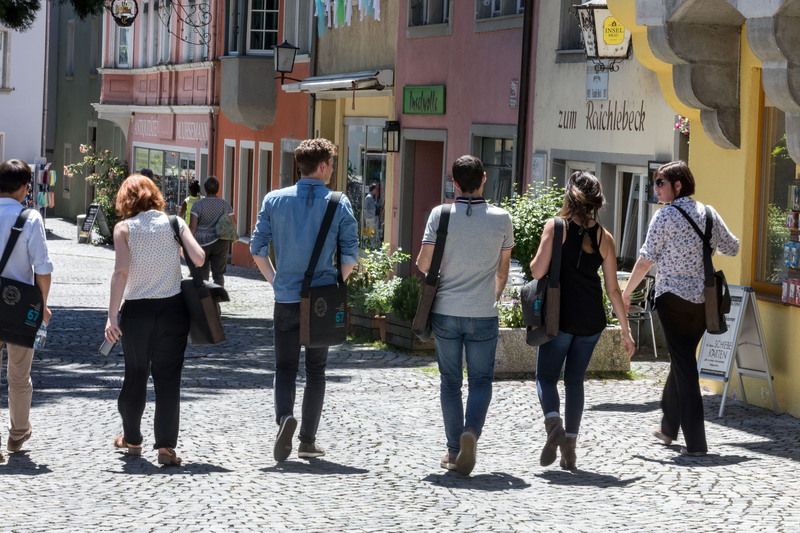 And you won’t be alone in this journey, because as a participant in the meeting, you now share the singular experience that binds you with every other Lindau attendee. You are a Lindau Alumnus or Alumna, and this is something special. Alumni are extremely important to organisations and Lindau is no different. The success of future Lindau Meetings is dependent upon your success. As scientists, you are society’s gatekeepers, providing us access to information and ideas that move us forward. As Lindau Alumni, you matter, because you make science happen. And therefore you make Lindau happen. Review the Science Careers panel: you are sure to get additional insight into how and why to invest in your career in science, how you can make an impact, how you can pursue your career, what careers are accessible to you (hint: it’s limited only by your imagination! ), and how to go about career planning. The panel provided invaluable advice and if you watch it again with fresh eyes, you may catch something you didn’t before. I know I did! Keep your contact information updated: the Lindau folks will be contacting you. They want to keep you involved and engaged in Lindau and with each other. They are invested in your success in the future. So make sure you keep them apprised when you change jobs, institutions, and fields, and when you have triumphs. Key point – when you win the Nobel Prize, make sure you call them immediately after you hear from Sweden! But seriously, stay in touch, and take note that even if at some point you decide to pursue a non-traditional profession or arena, or decide to leave science (seemingly) altogether (fancy a career in cupcakes, do you? ), you should still stay in touch. You are still an Alum. You still are still part of the Lindau ecosystem and you are still part of the Lindau family. Take advantage of Lindau Alumni resources: over the next few months and year, you will be hearing about many projects and programmes that Lindau is planning to bolster its alumni network and create opportunities for you to succeed. They will be holding in-person events around the world and webinars related to career development, professional advancement, and job and career planning. They will be enhancing social media networking, so join them and contribute to the conversation. Be sure to join the Lindau Alumni Network. 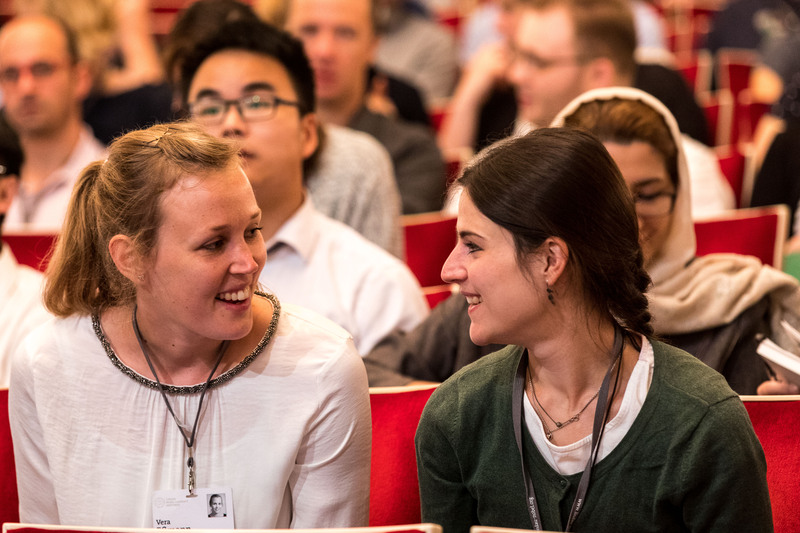 The Council for the Lindau Nobel Laureate Meetings aims to grow the alumni network and continuously provide value to Lindau Alumni to meet your professional needs and objectives. So you can also let them know how they can help you! Go through the calling (aka business) cards that you collected at the conference. Reach out to those people and let them know how nice it was to meet them at the Lindau Meeting. Connect with them on career networks, and then stay connected with them. Keep them apprised of your career progression. When you know that you are attending Conference X, email them and ask them if they will be too and see if you can schedule a dinner or a coffee appointment. Stay in touch. These are your peers and they are walking similar roads as you. Don’t let the networking you did at Lindau be for nothing. Cultivate those relationships. Follow up with the laureates! 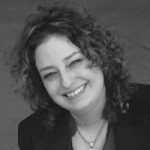 You want to build a win-win partnership with the people in your networks, and the laureates are no different. So keep them apprised of your triumphs and trials, seek their advice, and help them to help you. And of course, look for ways you can help them, too! For ideas on how young scientists can provide value to leaders in your field, check out my article, Networking with Dr. God, in Science/ScienceCareers, featuring Nobel Laureate and Lindau participant, William Phillips. Promote your Lindau experiences. Volunteer to give a presentation at you institution about the Lindau Meeting and experience, write an article for your local or university or association publication, offer to meet with colleagues who might have an interest in attending. Be a champion for Lindau so others can learn of its relevance and participate in it and invest in it (and become alumni too!). The most important thing is to remember you are part of a global team of individuals who have the privilege to be Lindau Alumni, and with great privilege comes great responsibility. Yes, there are many benefits you will receive as an active Lindau Alum – career advice and resources, ideas and inspiration, networking, and of course, greater potential impact of your science. But there is also something of value you can provide the scientific community, and that is to take the information, knowledge and principles that you gained at Lindau and disseminate them. Educate. Inspire. Connect. Lindau is more than a place, it is a platform and you must ensure that the ideas shared here are acted upon. As Lindau Alumni, you have that power. Stay tuned for Lindau Alumni news, and again, welcome to the family! Your adventure is just beginning, and you have thousands of compatriots (representing 80+ countries) aligned with you to advance science, advance society, and advance humankind. I can’t wait to see what you and your Alumni brethren will do. Take advantage of Lindau Alumni resources: over the next few months and years, you will be hearing about many projects and programmes that Lindau is planning to bolster its alumni network and create opportunities for you to succeed. They will be holding in-person events around the world and webinars related to career development, professional advancement, and job and career planning. They will be enhancing social media networking, so join them and contribute to the conversation. Be sure to join the Lindau Alumni Network. 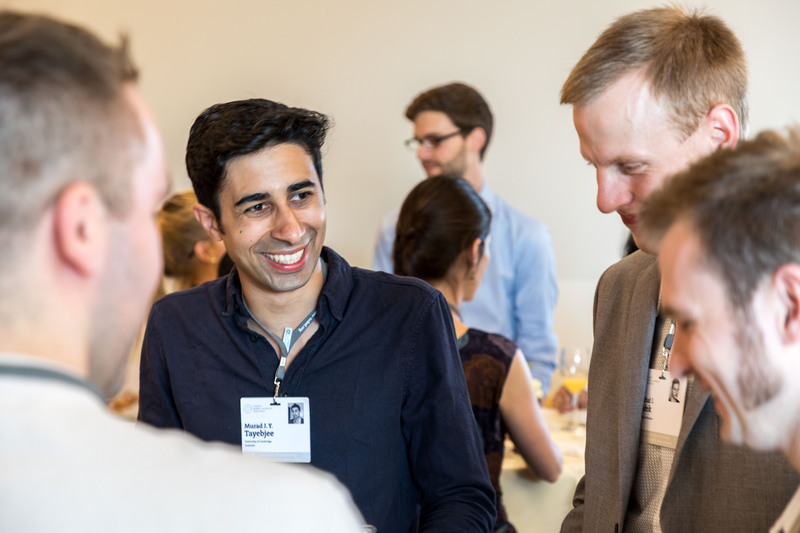 The Council for the Lindau Nobel Laureate Meetings aims to grow the alumni network and continuously provide value to Lindau Alumni to meet your professional needs and objectives. So you can also let them know how they can help you!